soft play area business will boom if you focus on management and service. How to attract more customers to your soft play area? Now, many indoor soft play area operators feel confused: why another playground business is so prosperous, but my play area is fewer customers? I invest a lot of money in the new playground equipment, but why my business is not good? This is a headache for many kids playground operators. Today, we will tell you how to attract more customers and increase the popularity of your indoor soft play. Nowadays, people get your first impression from the outward appearance, indoor soft play area environment is no exception. 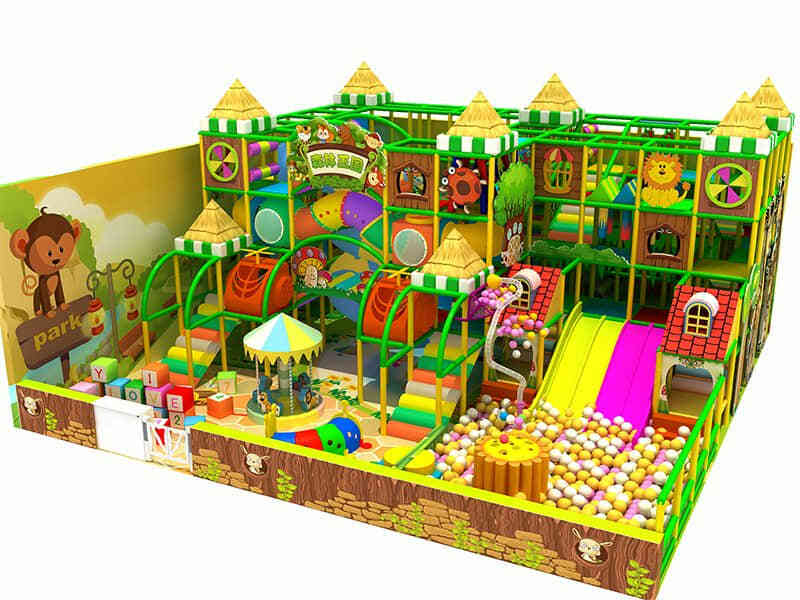 A distinctive decoration style, innovative features, colorful kid indoor playground will attract the eye for the first time. With a strong visual impact children play area, why not love it? However, indoor soft play area features are not imitated, it should learn + innovation + breakthrough. Operators learn from excellent children’s playground and draw on its essence. They can combine with their own space size, equipment features, adding new elements, to create a unique decoration style, which can form a brand and retain customers. Color is of great significance to children’s mental health and personality development. soft play area colors should be bright, relaxed, pleasant, it is better with more color contrast, to distinguish between the different functions. The transitional colors are generally white. Large animal elements will attract some active boys, candy color design easier to attract some girls and younger boys. Colorful children’s space is for the innocence of children, to attract their attention at the first sight. 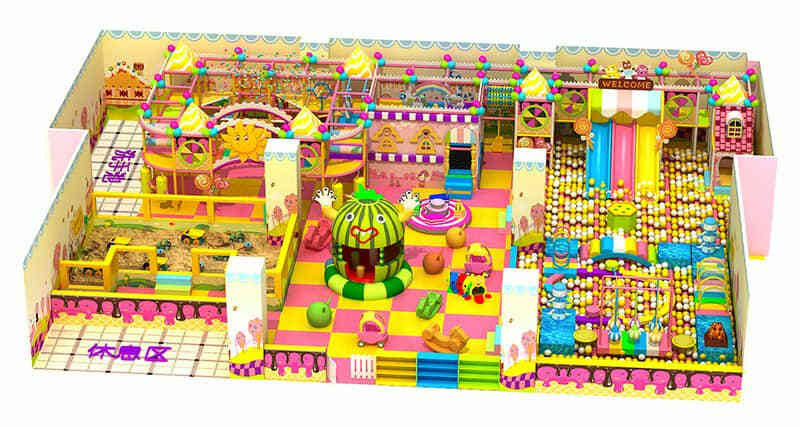 And bright colors be filled with hope and vitality, make the soft play area look more healthy. As a qualified and even excellent indoor playground, how to improve themselves? Although it is now a more democratic era, there are many things that need to be taken with the overall situation. This requires independent decision-making by playground operators, including dispatch work, manpower coordination, employee dispute resolution, which test the soft play area operators decision ability. Different from the ordinary soft play area, the operation of children’s playground is not a simple matter. It includes equipment updating, planning activities, promotion programs, the establishment of membership files, interactive cooperation, daily management, crisis response and so on. For some special cases, the children encountered in the exercise, the handling of these operations, good and bad skills, directly affect the effectiveness of the store. Due to the special nature of the soft play area, children are required to have an understanding of the equipment prior to the play to ensure safety. Although parents are present, staff members need to communicate with children, to eliminate the child’s insecurity and give them the courage to participate expansion.The child’s thinking is often different with adults, if not patient enough, and do not have the excellent communication ability, will certainly bring obstacles to the operation. During communication, simple, easy-understanding language, eyes contact are particularly important for children. The essential prerequisite for one operator is to have the ability to establish a team, can further develop the elite team. Therefore, in the course of business running, it is very important to control the work of staff members, to master the situation of children’s play and to grasp the overall situation. 5.Overall data calculation summary ability. Regularly organize sales, and draw conclusions from the analysis; at the same time, make a brief analysis and records of typical customers. To deal with running problems in a timely manner, to analyze the running condition effectively, which will help to make your soft play area go further. Popularity is the most important factor to the soft play area. If we own popularity, the revenue will naturally go up. But how to enhance the popularity of the playground? This is closely related to our publicity. On the opening day to do enough publicity. If you have enough budget, it is better to invite the local song and dance troupes to perform in front of your playground. Besides, you can invite your friends and relatives to help out on an opening day, it looks very bustling, which will increase popularity. It is best to open your own relatives and friends to help out the day, increasing popularity, bustling like the opening of the way. When the publicity is carrying out, nearby people and people passing will be attracted and stopped here. Handing out leaflets near the high-traffic streets and shopping centers is the other effective way to make publicity. You need to let customers know there is a kid indoor playground open and has activities during the opening. Put advertisements on local TV media, newspaper, so more people will know your soft play and will come to play here. Kindergarten and daycare centers are very important target place to make publicity. You let them play for free in a limited time, if the children do not enjoy the full time, they will ask their parents to bring them back to your playground. Co-operation with children products shops, let them introduce more customers to you. For example, if their customers consume in their shops, they will get one ticket of your playground with 20% discount. It is a win-win solution. It is internet time now, advertising information appears everywhere; people are bored with them. So, it is crucial to lock customer’s attention and make precision marketing. If you can advertise in the following manner, people will easily remember and accept it. In an advertisement, what you see and what you can not see, not depends on the vision itself, but on what the observer wants to see, and not want to see. For example, if you put bread and toys in front a hungry child and a rich child. The hungry child will focus on bread, but the rich child shows more interest in toys. Therefore, only ads that touched customer’s interests are more appealing. Instead of hard ads, you can adopt scene ads, in which people will not disgust and forget its marketing feature. Unconsciously, they will immerse in it and become marketing group. soft play area size is not large, the installation of soft play equipment is more intensive. without unique advantages, you can not attract the attention of children. And many indoor playground structures are few combination of play games, it may not be able to meet the more demanding child’s play needs.So, prominent features are the assurance of your indoor playground business. Investors must control soft play equipment quality so that children can play in a safe place. Besides, they also need to keep good business quality, maintenance of play center order, remain clean environment and so on, which with high quality to win the trust of parents and children. Promotion is the most effective way to improve the popularity, but the premise is that we must know how to promote, otherwise it may be counterproductive. 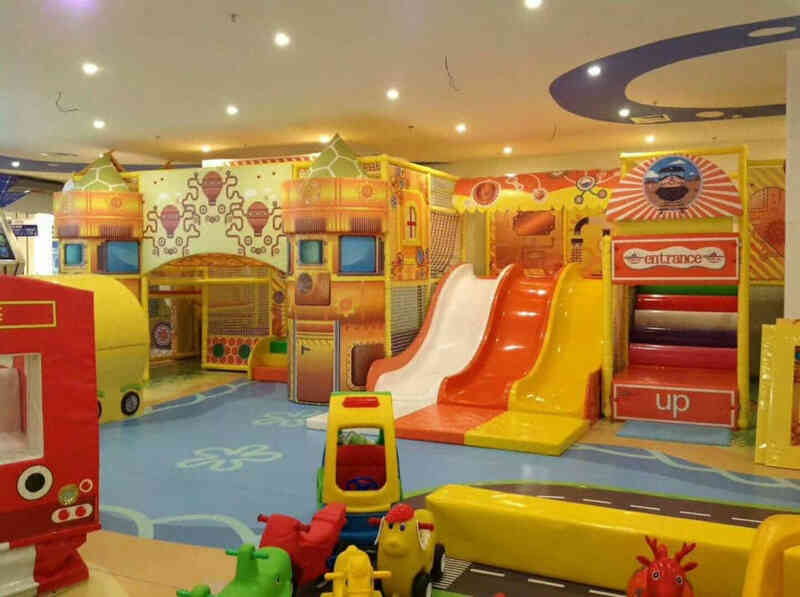 To make soft play area continue to attract children, we need to start from many aspects, all focus on children, consider the issue from the perspective of children, we have no worries about customers source. Usually, the staff’s grooming, behavior, and conversation will leave the first impression to parents. So, parents also get the image of the soft play area from employees. A good playground image will be able to attract Customer’s visit again. Therefore, the soft play staff should try their best to be tidy, good temperament, elegant and nice. The operators should have the clear division of labors. For example, from the perspective of the management, the guide should do a good job of terminal sales, maintenance of safety and atmosphere; from the perspective of parents, guide well of the child play services. Besides, the director should do a good job distribution and management; reception staff should be warm and polite; the cashier is rigorous and clear; players guide is intimate and so on. Only customers are satisfied, sales performance will be gratifying. Understand that customers are a source of hot sales for soft play area, so staff needs to treat customers as friends. The child is a unique treasure for each family.The most effective way to establish good relations with parents, to care their children from the heart. In addition, you can exchange child rearing knowledge parents. During the course business, if you encounter unexpected incidents, customer complaints should be fast-moving, quick response, verbal care express. Staff should apologize in time if the customers dissatisfied or angry. incalculable incidents should be immediately reflected the higher level leadership. Clerk to be the flexible handling of cases, calm thinking, careful parenting and child psychology, safeguarding the interests of customers in order to ensure the soft play area reputation, to avoid losing uncommon to create better performance. Keep the store clean, hygienic, beautiful; to remind customers to keep their belongings; take good care of customer items. More detail in the service allows customers to feel soft play care, so as to achieve good reputation! 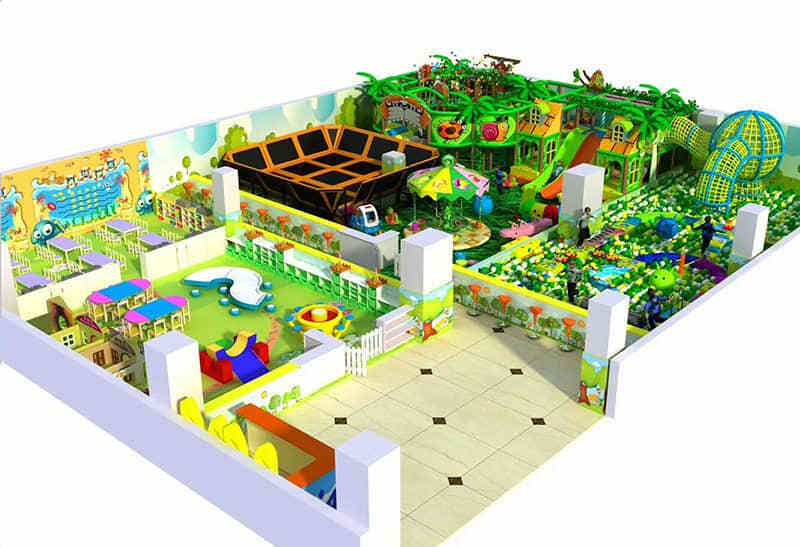 Investors need to provide safe, reliable, innovative and interesting soft play area equipment to children, and make safety measures; regular disinfection and maintenance work of kids equipment to ensure the health and safety of children; to recruit staff who knows how to help children and bring more fun to them. After doing well in all these matters, the soft play area will naturally attract “repeat customers” and cultivate a group of loyal customers. Many of indoor soft play plans and considers very well for children, but they usually forget the needs of parents.When children are enjoying their fun in the playground, parents have nothing to do and will feel boring for a long time. If the operator provides a cafe room for parents, you can imagine how happy the parents. They will find their own fun by enjoying coffee, playing games or watching cinemas with free wifi. It will attract them to come back again and stay a long time in your playground. How to make the playground continue to have high popularity? Holding activities is a trend now. Good activities will make your soft play area famous and attract more customers. Many of indoor soft play will hold interactive activities, like birthday party,parent-child games, and children friendly games, which will increase the popularity of playground. Children friendly game is a good way for children to communicate with each other. Today, we will take Music Chair game for example. If there are 6 players, prepare 5 chairs for the game purpose. All participants stand outside the chair in a circle, when the music starts, participants begin to run along a circular clockwise or counterclockwise. when the music stops, participants quickly grab a chair to sit down, for who did not grab the chair, he will be out of the game and then come up with a chair. After several rounds, the final winner will be selected. The winner will a gift and all other participants will also get a gift. Through above analysis, WONKA PLAYGROUND believes that you will find why your soft play business is not good. Money invest is the first start, but it does not determinate your business is good or not.What you can do is to create a unique decoration, enhance your management ability, make good publicity, precise marketing, provide good service and hold activities. If you do well in above aspects, without doubt, your indoor soft play area business will boom!